Vancouver is a coastal seaport city in Canada, located in the Lower Mainland region of British Columbia. As the most populous city in the province, the 2016 census recorded 631,486 people in the city. The Greater Vancouver area had a population of 2,463,431 in 2016, making it the third-largest metropolitan area in Canada. Vancouver has the highest population density in Canada with over 5,400 people per square kilometre. With over 250,000 residents, Vancouver is the fourth most densely populated city in North America behind New York City, San Francisco and Mexico City according to the 2011 census. In that census, Vancouver was one of the most ethnically and linguistically diverse cities in Canada; 52% of its residents have a first language other than English. 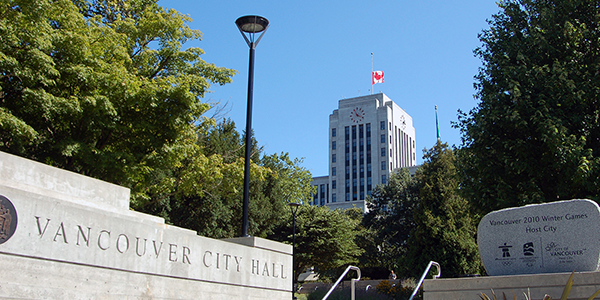 Vancouver is classed as a Beta global city. Home to the NHL's Vancouver Canucks, MLS Vancouver Whitecaps FC and CFL BC Lions, the city has an abundance of recreation and family friendly entertainment options throughout the year. Also within an hour drive of the Ski Slopes or the option of beaches in their own backyard, know as the Sea to Sky coridor, the city offers it all to the outdoor enthusiast.